I have seen many Israeli groups touring Brama Grodzka or death camps in Poland. Every group I have been able to listen to for an extended period of time has had a teacher who has told the group something incorrect. A few weeks ago a teacher who was “translating” (translating in quotation marks means pausing after the English and then saying whatever he wanted in Hebrew) Iza’s tour in Brama Grodzka, said that the Jews on March 16, 1942 (the day the liquidation of the Lublin ghetto and Operation Reinhardt began) were taken to Majdan Tatarski, the secondary ghetto not far from the death camp Majdanek. This is not true. They were taken to the death camp Bełżec where they were gassed immediately. The students he was speaking to, frankly, seemed so uninterested that they would not have known the difference, but for us who care about this history, this was a huge mistake. 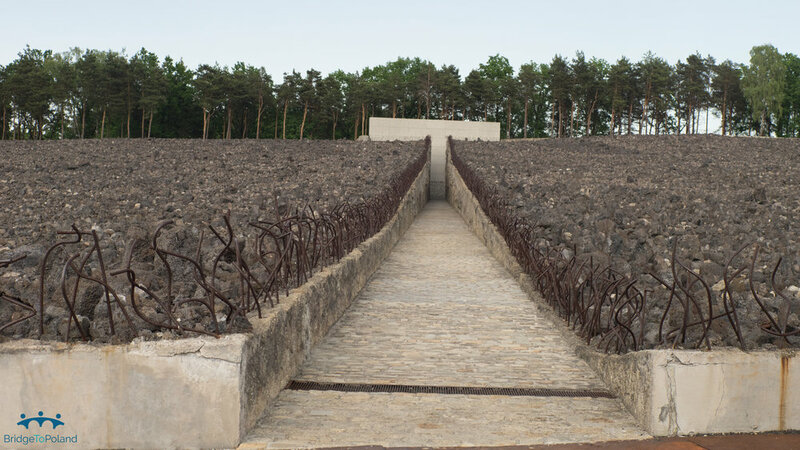 The other day a well-meaning teacher with a group of Druze, Arab Christian, Arab Muslim and Jewish students from Israel told them that most of Lublin’s Jews were murdered in Majdanek. I had to correct him and tell him that twenty-eight thousand of the forty-three thousand Jews from Lublin were murdered in Bełżec. Even the best intentioned make mistakes; and of course it’s not only Israelis. Why is it a problem? So what if in 100 years some people think that the Jews of Lublin were murdered in Majdanek and not in Bełżec, does it matter? I think it does. When a loved one dies in war or abroad we want to bring the body back. We humans want to know where the remains of our loved ones are. That’s why we care for cemeteries. That’s why there are so many initiatives by both Jews and non-Jews to care for Jewish cemeteries in Poland. That’s why it’s so upsetting to see overgrown, neglected Jewish cemeteries or Jewish cemeteries made into parks or parking lots, the matzevot long since having been lost or taken. We want to know where our departed lie, where to lay a stone or say a prayer. That’s why the devotion of people like Jerzy Debięc in Nowy Żmigród is so heartwarming. He goes to the cemetery every day. “The cemetery is waiting,” he said to me while waiting for me to interview him, impatient to get there. So yes, when people don’t have an honorable final resting place, when their bones have been crushed and mixed with those of others to form the ground of the former death camp Beżec so that a young Dariusz Stola, later to become the Director of the Polin museum, could pick them up in a handful from the ground when visiting with his friends, then it is important to know where those bones lie. They are in Bełżec. Not in Majdanek or in Majdan Tatarski. In Bełżec. It may be easier to assume they are in Majdanek because it’s closer to Lublin. You assume, because you did not bother to do the research that the Jews of Lublin would have been murdered close to home. Bother!! Bother to do the research! Honor those crushed bones, those unmarked graves, the ones that never even had a matzevah to be stolen, never even lay in a kirkut to be forgotten. At least we can remember the path of their final harrowing journey.